Internet is in constant change. New startups born each day and they propose a new vision of how you should do things at work, school and even life. When Web 2.0 was born, the proposal was simple: share something, and wait for it’s feedback. Facebook, Twitter and Instagram are the perfect example for it. But there’s a huge problem with these services: you don’t pay attention to them. Laugh if you want, but I’m serious with this. I’ve been there, almost everyday since I start using them. You don’t read an article someone posted on Facebook. You just read the headline, presume what it says, and then hit like, comment or share. Same goes for a tweet or a photo on Instagram. And this happens because you don’t have the time to do it. Either you’re working, studying or doing something else. And here’s where Snapchat prevails. Snapchat is simple. You snap a photo or a video, and send it to one of your contacts. You can add it to My Story for 24 hs too. And the best part of it? You can only see it once. Why the hell would I want to see something just once? Because if you know you can only see something for one time on your life, you will pay attention. That’s why I don’t open an snap unless I’m off with everything else. Of course, you can take a screenshot or replay one once a day, but that’s not the point or essence of Snapchat. Apps like Slingshot, Telegram and even Tinder are adding features like these, making photos and videos disappear in a short period of time. 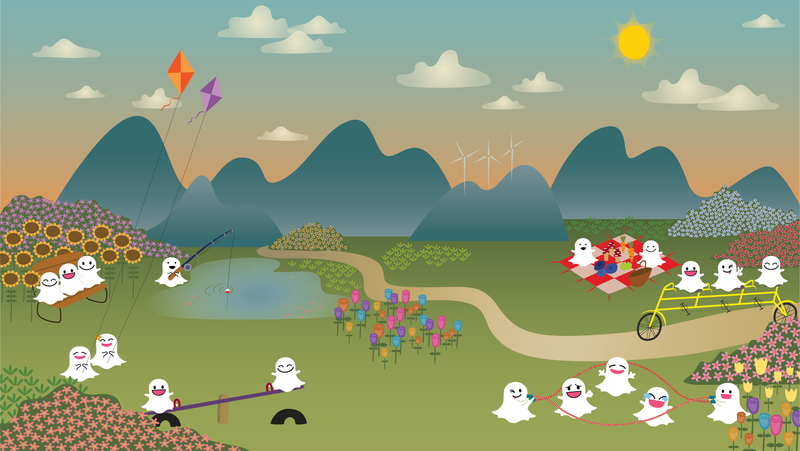 Snapchat added a lot of features in the last few months, like Geofilters, Snapcash and Discover, and it’s growing massibly even after rejecting a buying offer from Facebook. They’re doing an incredible job, and it’s just time before they realize how important is the service they provide to millon of users everyday. You can follow me on Snapchat @ pedrocela.